The 2018 Chevrolet Trax combines the fuel efficiency of a compact car with the roominess and capability of a small SUV. 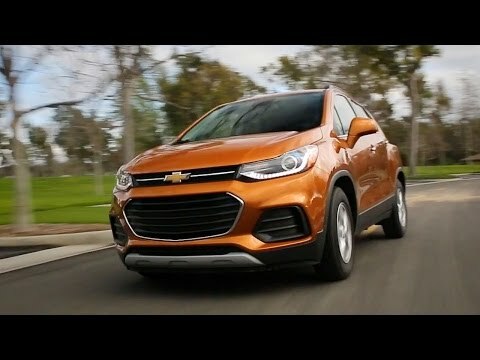 The Chevy Trax is made all the more alluring due to its high-tech features that include Apple CarPlay and Android Auto compatibility, as well as host of advanced driver-safety equipment. It's also quite peppy and fun to drive. I guess that it didn't cost an arm and a leg. Well we've only had it a month, so. . . Anyway, absolutely no problems. It handles like a dream. It is compact and very maneuverable. The comfort level couldn't be better in my opinion. I really like the USB ports that are provided for charging your phone or other devices, or for listening to your favorite streaming service over the vehicle's sound system. It has a really good radio with great sound. It is not super fast or powerful, but it has all that I should ever need I would think. There is an impressive amount of room for such a small vehicle, with an impressive amount of cargo space for hauling groceries, etc. I am kind of looking forward to the winter to really give the all wheel drive a real test. On top of all of that it is just a great looking rig. Needless to say we love it. The Chevrolet tax, the good and the bad. Comfortable ride, steering control is good with smooth braking. The interior is nice but front passenger does have an armrest. Touch screen is a good size for easy viewing but the android auto program can be intrusive and glitchy. Sound systems is great and the controls for it are easy to use. The climate control fan has a large jump from the #1 setting to the #2 setting and this was not the case with my 2016 tax. Another difference from the 2016 model and the 2018 model is Chevy removed 2 storage compartments from the dashboard and I truly miss the 2 extra compartments. Chevy improved the LCD control screen and the rear facing camera but devolved the storage situation. Overall I am pleased with my purchase. Great price. Buy this car. 2018 SUV Chevrolet Trax. Small, good gas mileage. Bought my new car august 2018 following a no fault of mine accident. My 2018 Chevrolet Trax AWD is the perfect SUV size the interior is beautiful with the latest technologies such as on star, GPS navigation, weather gage, Wi-Fi, phone, bonus points which can be used for services. Finally the best thing of all is the price under fifteen thousand dollars gas mileage is amazing I recommend buying this car.